Email should not be used for urgent communications, appointment booking, prescriptions requests or cancellations. We now have extended access to healthcare professionals through the Primary Care Service, where patients can be seen throughout the day and on evenings and weekends. Please contact NHS 111 or reception to book an appointment. If you become ill when the surgery is closed and you feel it is an emergency please contact NHS 111 who will direct you to the appropriate service. NHS 111 is available 24 hours a day, 365 days a year. Call 999 in a medical emergency, when someone is seriously ill or injured and their life is at risk. To register with the practice please complete a Patient Registration Form (for both adults and children) and a New Patient Questionnaire (required for adults only). These can be obtained from reception at any of our surgeries, or downloaded below. Once completed please bring the forms to one of our surgeries, along with the required Identification Documents (acceptable forms of ID are your passport or driving licence together with proof of address and birth certificate). You are eligible to register at a practice of your choice; this includes surgeries which may fall outside of catchment areas. Visitors to the area may attend any of our surgeries and register as a temporary resident; this means you can arrange an appointment for friends or relatives staying with you or a child home from university in the usual way (acceptable forms of ID are required). Please return both completed forms to the surgery. If you require any assistance our reception team will be happy to help you. Please click the links below to download the Patient Registration Form and the New Patient Questionnaire. 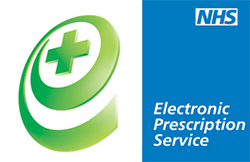 The service is free and available to everyone who is registered with a GP. Take photo ID (passport or driving licence) and proof of address (such as a utility bill) to your GP practice and tell them you want to start using their online services. If you do not have any ID then either a member of staff will have to confirm your identity or you may have to answer questions about personal information in your GP record. Fill in the short registration form that you are given by your practice. Once you have signed up, you will receive a letter with your unique username, password and instructions on how to log in.